Sarah A. 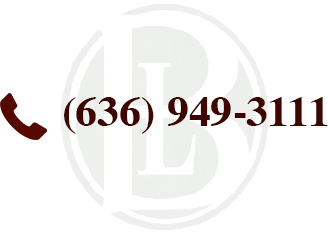 Brown is an Associate Attorney with the law firm of The Bellon Law Group. Sarah practices exclusively in the area of family law which encompasses multiple types, including guardianships, adoptions, divorce, paternity, custody and serves as a Guardian Ad Litem when appointed. While Sarah specifically focusing on issues relating to divorce, paternity, child support and child custody, she also is greatly skilled in the issues of guardianship and adoptions. Sarah’s primary goal is to provide legal counseling and assistance to her clients during what can be a trying and often lengthy domestic litigation process. Sarah is licensed to practice law in the State of Missouri, is a member of the Missouri Bar Association and the St. Charles County Bar Association. In 2004 Sarah earned her undergraduate degree from Columbia College in Columbia, Missouri. In 2007, Sarah earned her law degree from Regent University School of Law in Virginia Beach, Virginia. While in law school, Sarah had an internship at the Missouri Court of Appeals, Western District. The Western District of the Missouri Court of Appeals is the State of Missouri’s largest intermediate appellate Court. This internship adds to Sarah’s diverse experience. After completing law school and passing the Missouri Bar Exam, Sarah accepted a position with Legal Aid of Western Missouri in Warrensburg, Missouri. While there, Sarah represented indigent clients in a variety of case types including child custody, divorce, guardianships, landlord/tenant, and healthcare, throughout thirteen (13) counties in western Missouri. This position provided Sarah with extensive and unique experience that is greatly appreciated by The Bellon Law Group. Sarah is a strong advocate for her clients and knows the injustices that may prey upon individuals in need of legal assistance. Her vast knowledge of the multiple counties in which she practiced while with the Legal Aid of Western Missouri in Warrensburg, Missouri provides Sarah with a unique set of skills and a knowledge base that will benefit all those clients she represents. 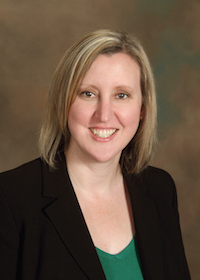 Moving to the St. Louis area in 2011, Sarah began working in private practice in the St. Louis metropolitan area with a focus exclusively on family law matters. With Sarah’s diverse background and passion for people, she quickly found her niche and was even honored in 2014 and 2015 by receiving the recognition as a “Super Lawyer.” Such a distinction is highly revered by both peers and clients alike. In the summer of 2015, Sarah joined The Bellon Law Group where she has continued her focus on family law, guardianships, and adoptions. In her practice, Sarah primarily focuses on divorce, child custody and support, maintenance, property division, adoptions, and guardianships. Due to Sarah’s state-wide knowledge base, she practices in a variety of counties including St. Charles, St. Louis, Lincoln, Warren, Jefferson and Franklin. When Sarah is not in the office or in court she focuses her time on building a life with her husband and child. An avid reader and music fan, as time allows, she will indulge in these hobbies.